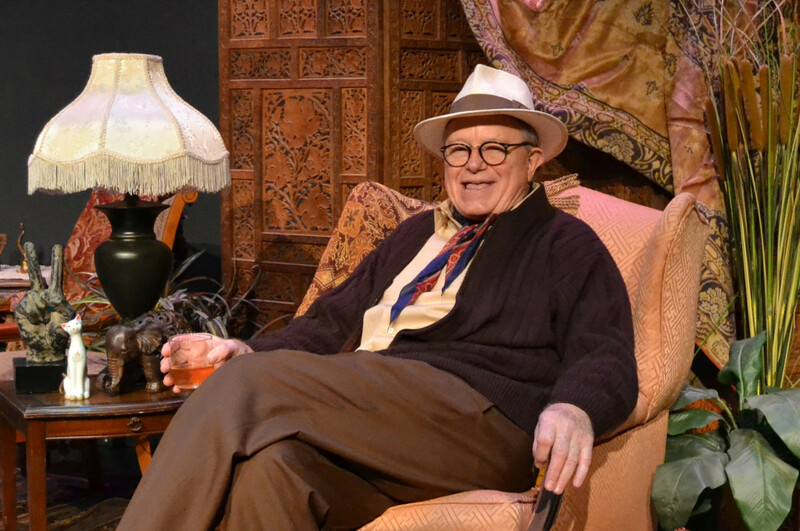 As one-man shows — that most artificial of theater genres — go, Jay Presson Allen’s Tru, a biographical slice of Truman Capote’s life, is better than most. It takes place on Christmas Eve, 1975, soon after the great Southern writer and social butterfly has published a sizeable excerpt of his scandalous roman à clef, Answered Prayers. Shunned by his former friends from high society, there is every reason for him to be by himself for an hour and a half, name dropping and saying catty things about those who turned their backs on him. There are the usual phone calls and answering machine messages, standard monodrama devices that break up Capote’s vodka-soaked monologue and recreate this nadir in the flamboyant little man’s existence with authenticity. Still, Tru will never be confused for the classic stage literature that Palm Beach Dramaworks usually trafficks in. What is has, however, is a stellar performance opportunity and an ideal actor to fill it in Rob Donohoe. For such a public figure as Capote — as he comments, he eventually became “famous for being famous,” eclipsing such diverse works as Breakfast at Tiffany’s and In Cold Blood — we have a strong image of him from television and film appearances. Donohoe meets those expectations with a high-pitched voice, nervous giggle and fluttery hands, but he also goes far beyond mere impersonation, drawing a lost soul hiding behind a defensive wall of bitchiness. Like Noel Coward, Capote had a “talent to amuse,” but over the course of the evening, his need for an audience becomes sadly evident. That apartment is a jaw-dropper, with floor-to-ceiling windows looking out on New York’s tony East Side. The scenic design by Paul Black — who also did the lighting, which subtly darkens to night — is richly appointed, with Capote’s well-stocked bar as a focal point. Costume designer Brian O’Keefe has less to do than usual, but he outfits Donohoe aptly in a shapeless cardigan sweater in the first act and a merry kimono in the second. Donohoe’s Capote is not one to rest long in one place, and director Lynnette Barkley choreographs his roaming about his apartment with care, just as she calibrates his emotional ups and downs. Although Tru is far more character sketch than play, it is well crafted and performed, so you might as well make some time this month to visit with this diminutive literary lion. Chances are you will enjoy his one-liners almost as much as he does. TRU, Palm Beach Dramaworks, 201 Clematis St., West Palm Beach. Through Jan. 1. $66. 561-514-4042.